Final cut Pro weekend class. It is a two days class and it will conducted from morning 9 am to 5pm. Lunch is included. 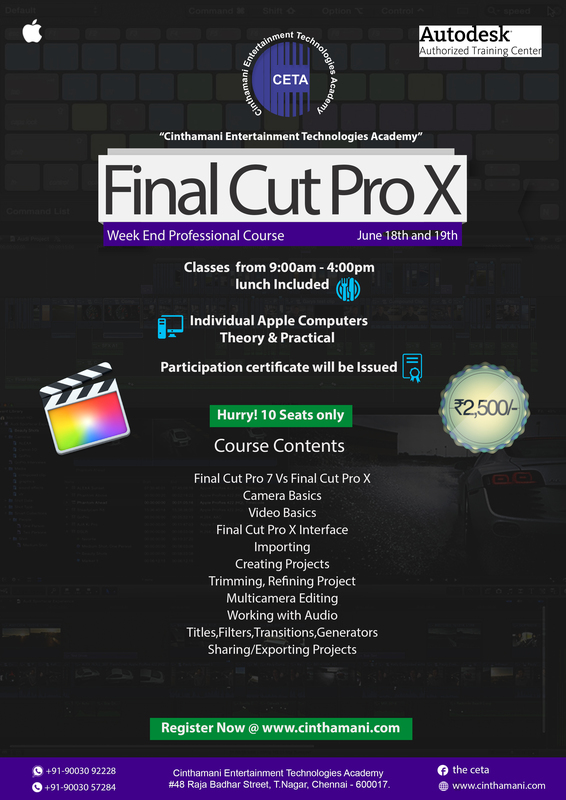 We will be teaching FCP 10 in this session. We will be giving you a course completion certificate. 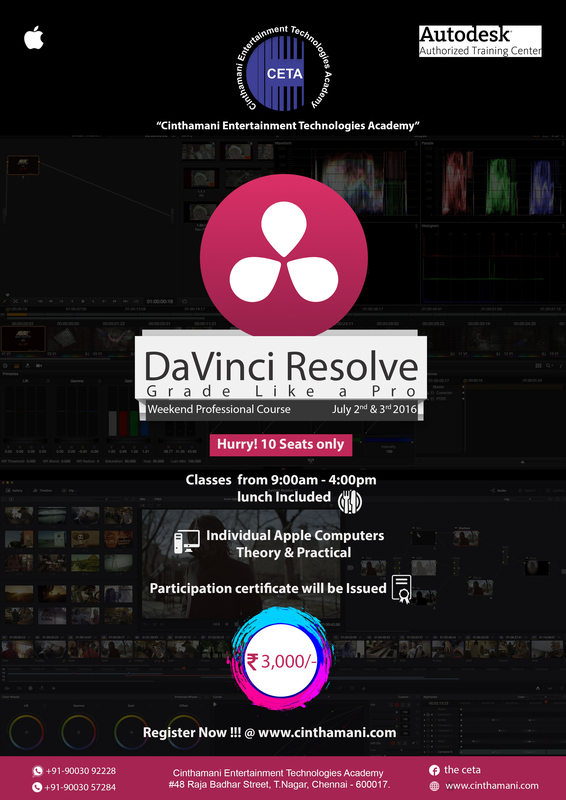 DaVinci Resolve weekend class. It is a two days class and it will be conducted from morning 9 am to 5pm. Lunch is included. We will be teaching color grading concepts in this session. We will be giving you a course completion certificate.